AMDA – The Society for Post-Acute and Long-Term Care Medicine is the only medical specialty society representing the community of over 50,000 medical directors, physicians, nurse practitioners, physician assistants, and other practitioners working in the various post-acute and long-term care (PALTC) settings. The Society’s 5,500 members work in skilled nursing facilities, long-term care and assisted living communities, CCRCs, home care, hospice, PACE programs, and other settings. The Society has two affiliate organizations. The American Board of Post-Acute and Long-Term Care Medicine runs a certification program for medical directors in PALTC, credentialing Certified Medical Directors (CMDs). The Foundation for Post-Acute and Long-Term Care Medicine oversees awards, community outreach, education, and research with the mission to advance the quality of life for persons in PALTC through inspiring, educating, and recognizing future and current health care professionals. A world in which all post-acute and long-term care patients and residents receive the highest- quality, compassionate care for optimum health, function, and quality of life. We promote and enhance the development of competent, compassionate, and committed medical practitioners and leaders to provide goal-centered care across all post-acute and long-term care settings. Dedicated to defining and improving quality, we advance our mission through timely professional development, evidence-based clinical guidance, and tireless advocacy on behalf of members, patients, families, and staff. The American Medical Directors Association (AMDA), was officially chartered in June, 1977, when Dr. James Pattee (as the AMA's representative) and Mr. Herman Gruber (of the AMA Aging Committee staff) went to Hilton Head, South Carolina, to swear in Dr. William Dodd as founding president of the organization. Dr. Dodd, a family practitioner based in Macon, Georgia, recognized the need to organize and educate physicians who would fulfill the role of the physician medical director created by federal mandate in 1975. The association stayed in Georgia until 1988, when it moved to the Washington, DC area, where it could better influence the momentous changes in nursing home reform ushered in by the passage of OBRA '87. Indeed, AMDA commented on virtually every regulation stemming from the OBRA '87 legislation. This increased activity in national public policy began a period of membership building that attracted younger primary-care physicians who were becoming increasingly involved in long-term care. Building on this early history, the association has grown to become a recognized source of expertise on clinical practice and physician leadership in PALTC. 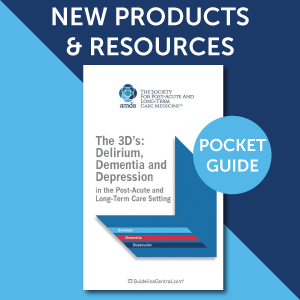 The Society's Clinical Practice Guidelines (CPGs), for example, are referenced in the CMS State Operations Manual, and AMDA’s 22 evidence-based CPGs are considered the standard processes of care in the nursing home setting. In 2014, the Society House of Delegates voted to change the organization’s name to AMDA – The Society for Post-Acute and Long-Term Care Medicine. This was done (a) to better reflect how the PALTC field has expanded to include all settings across PALTC from skilled nursing to home care and hospice; (b) to recognize that, while the Society's historical focus has been on nursing home medical direction, the society has always represented the full interprofessional practice team in PALTC, including attending physicians, nurse practitioners, physician assistants, and others. Along with the name change, the House voted to expand general (i.e., voting) membership to include nurse practitioners and physician assistants. In 1992, the Society joined the House of Delegates of the American Medical Association (AMA) and was recognized as a specialty society of the AMA. The Society maintains some 40 active collaborative relationships with the key peer organizations in PALTC, representing physicians including geriatricians, internists, family doctors, and hospitalists; nurse practitioners, directors of nursing, nursing home administrators, and consulting pharmacists, as well as the nursing home industry and consumers (patients/residents and families). We also work closely with our Federal partners in the Department of Health and Human Services: Centers for Medicare & Medicaid Services (CMS), Centers for Disease Control and Prevention (CDC), Office of the National Coordinator for Health Information Technology (ONC), and Administration for Community Living (ACL), as well as key legislative offices and committees on Capitol Hill. AMDA is an active member of the National Quality Forum, and of a number of important coalitions in aging, including Advancing Excellence, the Leadership Council on Aging Organizations, the Eldercare Workforce Alliance, the Dementia Action Alliance, and others. The Society is active in establishing and actively working in coalitions with other medical specialty, quality, and patient advocacy organizations. Our activities with these coalitions help develop our members and enhance our advocacy for key post-acute and long term care priorities. Advancing Excellence Campaign is a major initiative of the Advancing Excellence in Long Term Care Collaborative. The Collaborative assists all stakeholders of long-term care supports and services to achieve the highest practicable level of physical, mental, and psychosocial well-being for all individuals receiving long term care services. Choosing Wisely® is an initiative of the ABIM Foundation to help physicians and patients engage in conversations to reduce overuse of tests and procedures, and support physician efforts to help patients make smart and effective care choices. Originally conceived and piloted by the National Physicians Alliance through a Putting the Charter into Practice grant, leading medical specialty societies, along with Consumer Reports, have identified tests or procedures commonly used in their field, whose necessity should be questioned and discussed. The resulting lists of "Things Physicians and Patients Should Question" will spark discussion about the need—or lack thereof—for many frequently ordered tests or treatments. For more information about Choosing Wisely please visit www.abimfoundation.org/Initiatives/Choosing-Wisely.aspx. Long Term Care Quality Alliance (LTQA) was formed to respond to the increasing demand for long-term services and support and the expanding field of providers who are delivering that care. The Alliance will work to make sure that the 11 million people who need long-term services and supports in the United States receive the highest quality of care regardless of where that care is delivered. For more information about LTQA please visit www.ltqa.org/. Leaders Engaged on Alzheimer's Disease (LEAD) is a diverse and growing national coalition of 56 member organizations including patient advocacy and voluntary health non-profits, philanthropies and foundations, trade and professional associations, academic research and clinical institutions, and biotechnology and pharmaceutical companies. LEAD is co-convened by the Alzheimer's Foundation of America and USAgainstAlzheimer's. The coalition works collaboratively to focus the nation’s strategic attention on Alzheimer's disease and related disorders and to accelerate transformational progress in care and support, detection and diagnosis, and research leading to prevention, effective treatment and eventual cure. For more information about LEAD please visit www.leadcoalition.org/. Eldercare Workforce Alliance is a group of 29 national organizations, joined together to address the immediate and future workforce crisis in caring for an aging America. The Institute of Medicine, in its critical report Retooling for an Aging America: Building the Health Care Workforce, called for immediate investments in preparing our health care system to care for older Americans and their families. In response, we formed the national Eldercare Workforce Alliance—representing consumers, family caregivers, the direct-care workforce, and healthcare professionals-- to propose practical solutions to strengthen our eldercare workforce and improve the quality of care. For more information about EWA please visit www.eldercareworkforce.org/. A group of Subspecialty Societies of Internal Medicine that provides input to the American College of Physicians on socioeconomic policy issues-many of which involve highly technical coding and reimbursement matters. The group is responsible for charting College policy and advocacy on coding, coverage, and Medicare payment issues. SAGSA will facilitate communication between ACP and internal subspecialty societies on technical socioeconomic policy issues; primarily Medicare payment, coding, and resource-based relative value scale (RBRVS) issues. This process is designed to create a formal mechanism for input to the College's MSC, which will enhance timely two-way communication between ACP-ASIM and the subspecialty societies. National Transitions of Care Coalition (NTOCC) is a group of concerned organizations and individuals who have joined together to address problems associated with transitions of care: the movement of patients from one practice setting to another. During these transitions, poor communication and coordination between professionals, patients and care givers can lead to serious and even life-threatening situations. In addition, these inefficiencies waste resources and frustrate health care consumers. For more information about NTOCC please visit www.ntocc.org/. The Long Term and Post Acute Care (LTPAC) Health Information Technology (HIT) Collaborative was formed to advance HIT issues through coordinated efforts, host an annual Summit and publish a Road Map to advance strategic priorities and inform provider organizations, policy-makers, vendors, payers, and other stakeholders. Mechanisms for feedback and testing of implementations, often in conjunction with ONC partners such as National Institutes of Standards and Technology. The American Medical Association (AMA) convened the Physician Consortium for Performance Improvement® (PCPI®) more than a decade ago with its goal of enhancing quality and patient safety, and fostering accountability. The AMA-convened PCPI continues to lead efforts in developing, testing and implementing evidence-based performance measures for use at the point of care. For more information about PCPI please visit www.ama-assn.org/ama/pub/physician-resources/physician-consortium-performance-improvement.page. For more information about HCLA please visit http://protectpatientsnow.org/content/about-hcla. The Leadership Council of Aging Organizations (LCAO) is a coalition of national nonprofit organizations concerned with the well-being of America’s older population and committed to representing their interests in the policy-making arena. The Dementia Action Alliance is dedicated to helping people live fully with dementia and supporting those who care about them. 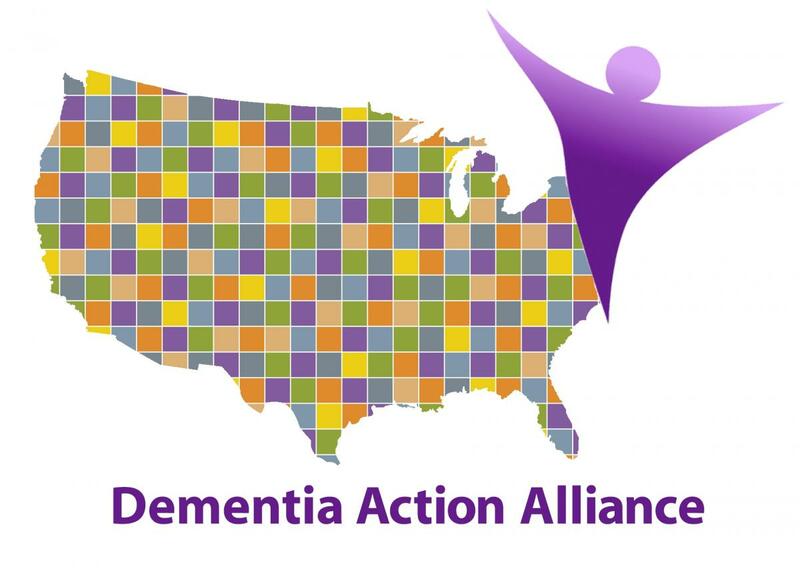 The Alliance is a coalition of passionate people engaged in changing our nation’s understanding of and attitudes about dementia through serving as a trusted source for education, conversations, and advocacy. For more information about the Dementia Action Alliance, please visit http://www.ccal.org/the-dementia-action-alliance/. We are dedicated above all to quality in PALTC processes and outcomes. We believe that a well-trained, collaborative, inter-professional team with physician guidance is best equipped to care for PALTC patients. We strive to deliver individualized, goal-directed care in all PALTC settings of care. We are tireless advocates in all venues. We are committed to being a credible information resource on PALTC. We are a community – connected to and supportive of each other.